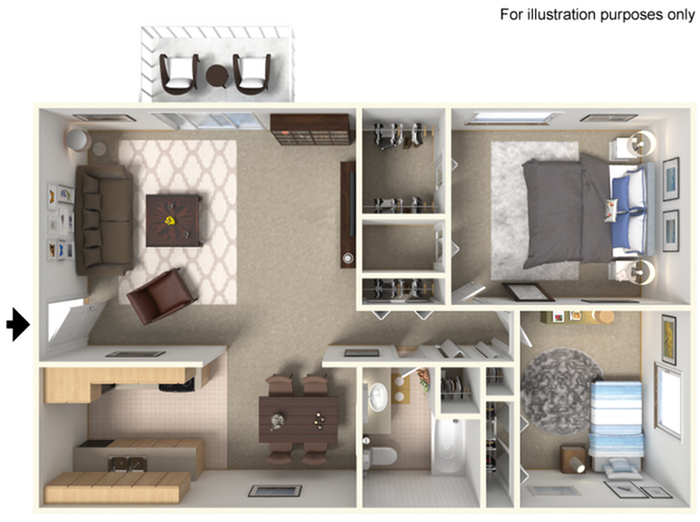 At Monterra, we offer a wide variety of 3 floor plan options to accommodate your individual lifestyle. 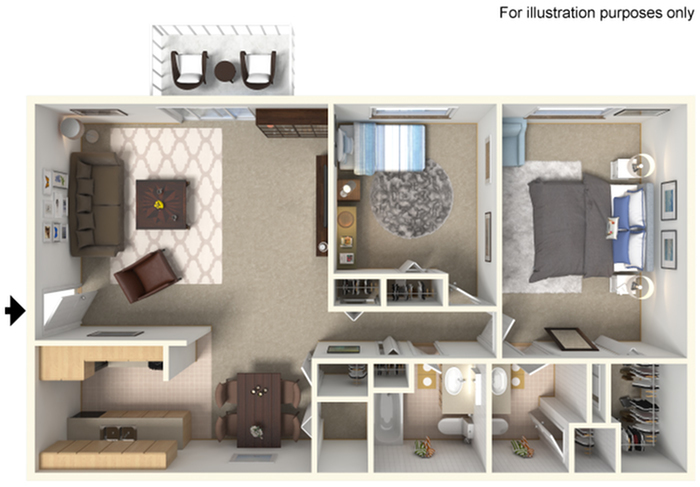 From cozy one bedroom apartments to spacious two bedroom homes, our exquisite and comfortable apartment homes range from 750 to 1,050 square feet of living space. Our community offers both newly renovated and classic style homes just a stone's throw away from major parks, recreation and dining options. No detail has been overlooked in our newly renovated apartment homes; from brand new cabinetry and white subway tile backsplash to sleek granite countertops and wood-plank flooring. Your friends will be impressed with the finishing touches your new home offers like smart locks, smart thermostats and USB outlets! 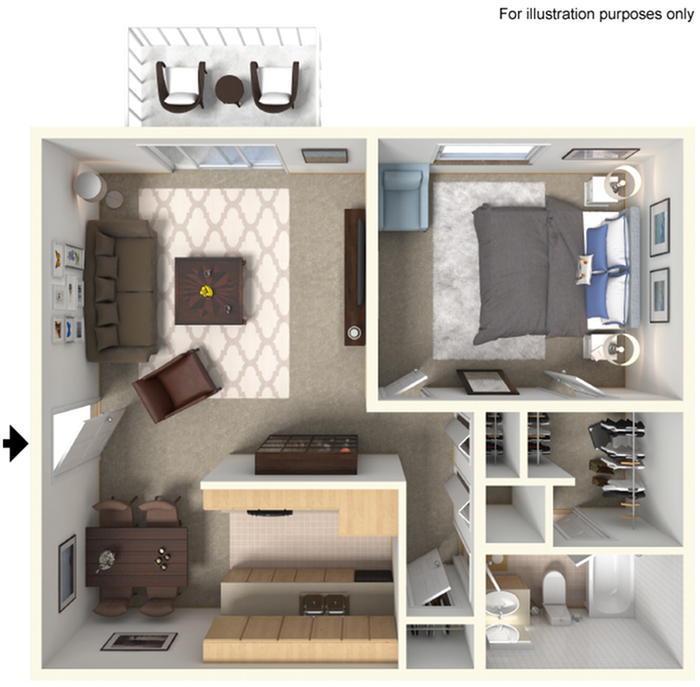 These sprawling, open floor plans are sure to accommodate your furniture placement, and many of our homes offer ample space for a king-sized bed. You’ll love the natural light that floods in, and the convenience of having a washer and dryer in your own home! Kick back and relax on your private balcony or take in the sunshine poolside! Enjoy all life has to offer at Monterra!